With June holidays approaching, and many people getting prepared to go on a holiday to Japan, I believe that it is only right for me to have such a reference article to provide the basis for all who are intending to go on a holiday trip to Tokyo. I would be incorporating into this series my own personal experiences as well as results from the research I have done, so feel free to leave me a comment to correct or provide further insight! 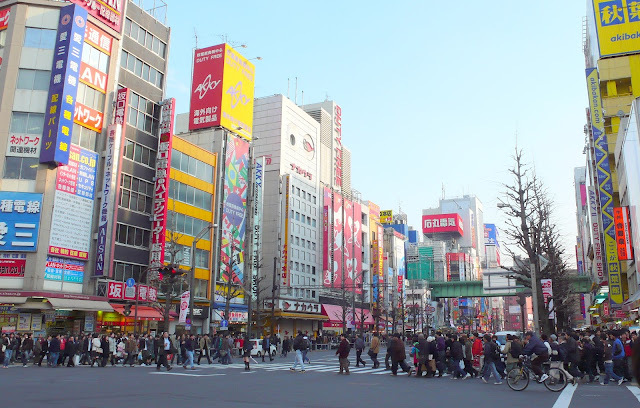 Akihabara, a central district in Tokyo, is well-known among anime otakus (die-hard fans) for their wide-range of shops merchandising anime merchandise and variety of food stores setting up trends, such as Maid cafes. However, that's not how Akihabara started. Akihabara began as a Denki-gai (electric town). 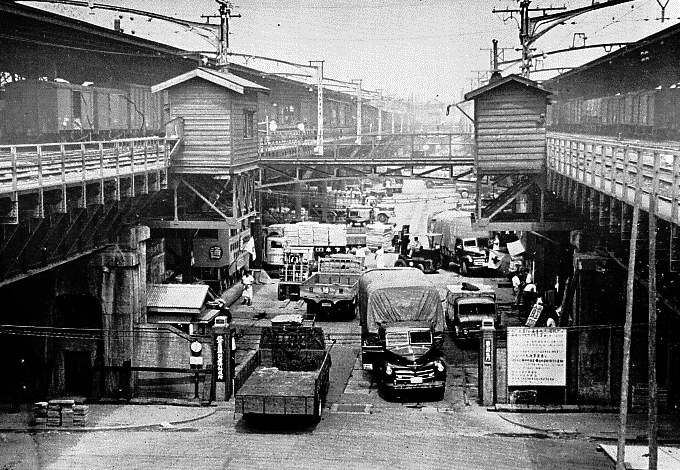 Its reputation of Denki-gai comes after World War II, from how small retail shops were set up under the Sobu line tracks. They specialized in selling devices and parts of electronics at cheap discounted prices. 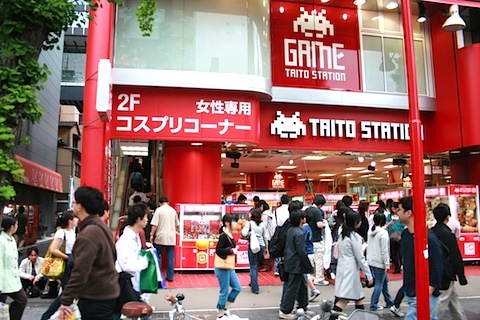 Companies such as Sony launched their first products, and rode the electronics boom, and casting Akihabara with the reputation as the to-go place for electronics. In fact, some of them still remain huddled along both sides of the streets toward Chuo Dori. 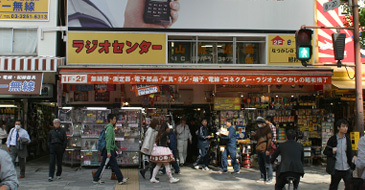 The Akihabara Radio Center is one of the landmarks that people think of when they refer to Akihabara's Denki-gai. It opened on March 8, 1950 by 10 prominent vendors at that time to house the increasing number of vendors selling parts. On November 30, 2013, Akihabara Radio Center closed doors, marking an end to this page of history. Despite so, many other electronics store in the region have made their name and Akihabara's infamous reputation of a Denki-gai would last for many more years to come. 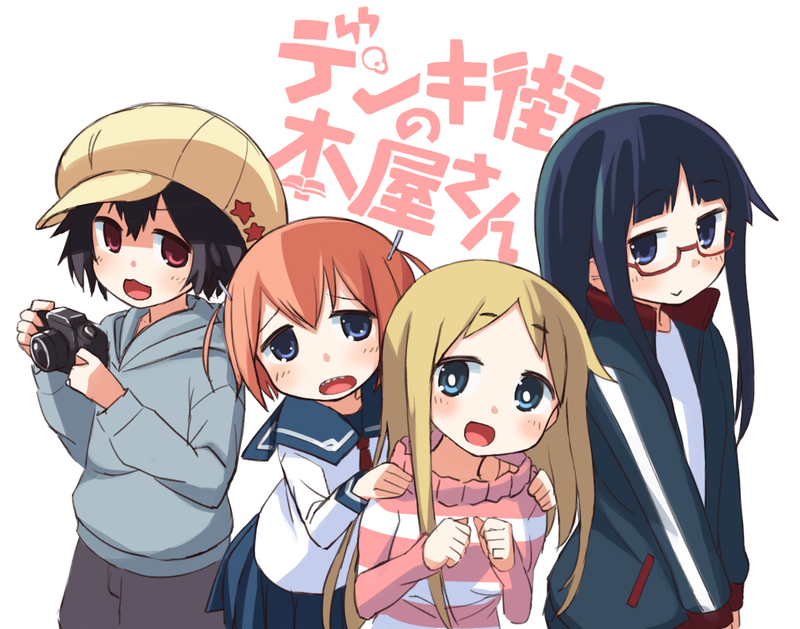 Perhaps having a link with Denki-gai through this show called "Denki-gai no Honya-san" exists for an easy maneuvering the topic away from Akihabara's electronics to its currently more prominent Anime haven. Gaming would perhaps be one of the more important aspects in this context. Gaming centers and stores selling a range of games, from the newer popular games to old-school retro games with its sturdy fan base. 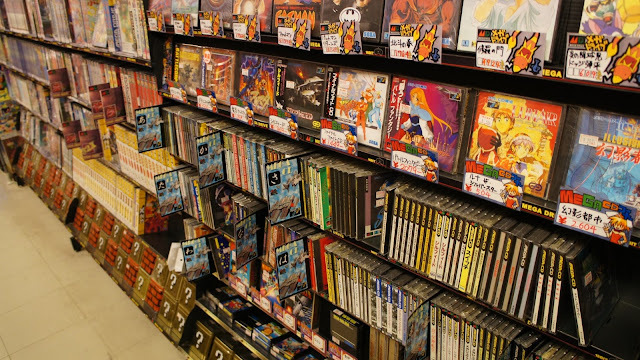 Treasure hunting at stores for games which are out of circulation for quite some time, such as Liberty or Retro Game is an excellent idea, though do note that some of the older and more popular ones can go scarily high in price! Akihabara is also well known for its Crane Games. Each play costs about 100 to 200 yen, and you can try a whole variety of crane games to hone your skills at snatching up different prizes. Maybe you could even try your hand at a UFO catcher for one of Banpresto prizes while you're at it? 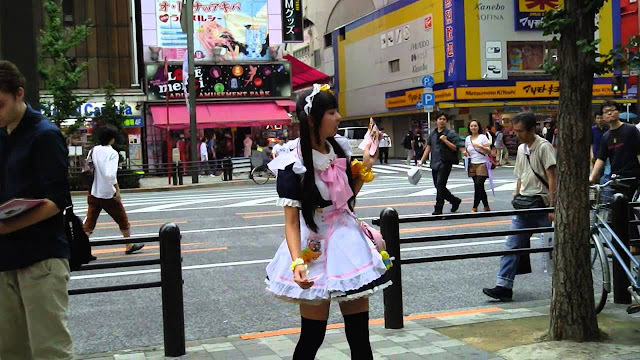 On weekends, the sidewalk of Chuo is usually lined with cute girls dressed in maid uniforms, giving out flyers and coupons for their respective maid cafes. On Sundays, you might be able to chance upon people lounging around in their cosplay attires or even posing for snapshots! Speaking about Maids, Akihabara would definitely not be short of Maid Cafes for food! They are famous for their cuteness and impeccable service that has melted the hearts of many. Needless to say, they probably also melted the wallets and banks of many, as their food definitely don't come by cheap, and some of the more popular cafes do have a "cover fee", which you can consider as a tip. Nevertheless, the concept of Maid Cafes, being established firmly as one of Japan's most striking footholds in their Kawaii culture, has branched out to include Butler Cafes and even Tsundere Cafes. Perhaps the time when Yandere Cafes appear would come by soon? But speaking of Cafes, we definitely can't miss out Animate Cafe that collaborated with Good Smile Company and opened in Akihabara on April 25, 2014. Their very first theme was Love Live! and the latest themes for their cafes can be found on animate cafe's official website here (in Japanese). 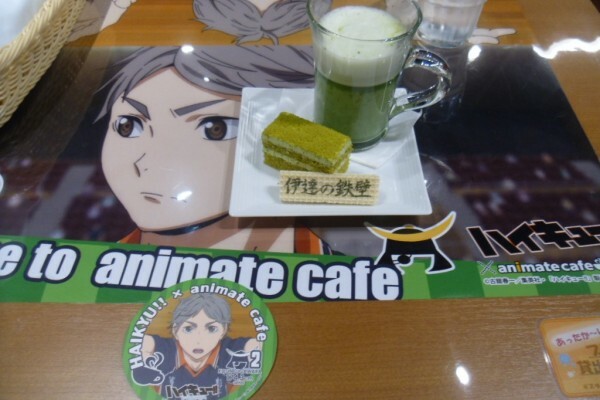 Animate Cafe serves delicious food, albeit at higher than usual prices, but compensate for those with freebies that is related to the anime theme of the month, such as coasters. Not only are the decor changed to match the monthly theme, the menu changes as well. 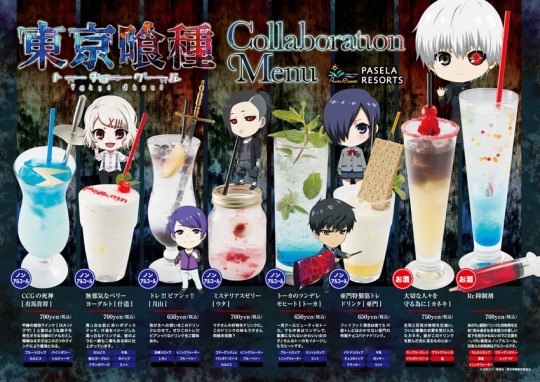 Drinks and food are prepared based on an image of the character, and such tactics are actually quite useful in getting avid fans of the series as customers! 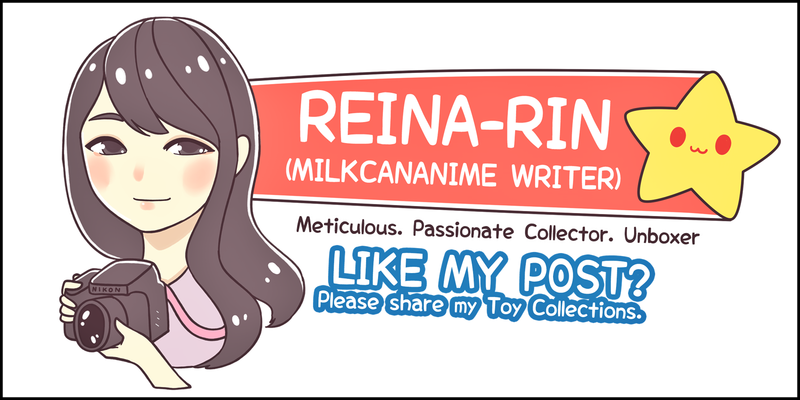 Even I am quite psyched up for visiting an Animate Cafe on my trip to Tokyo this June! Manga Kissa are internet cafes where people can read physical comics in a more-or-less-private small room all to themselves. They are the crucial places to stay at when teenagers run away from home in Dramas, but in reality the people who use these places really do treat them not any more than a regular would frequent an internet cafe. Gundam Cafe has an official site here. 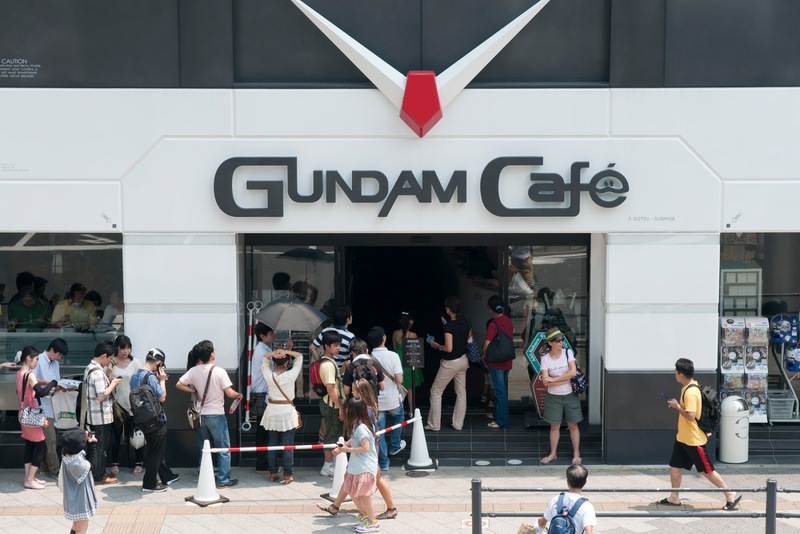 This Gundam cafe is like a long-tern Animate Cafe catered to Gundam lovers. Not only do you have a huge Gundam statue to welcome you in, the cafe is also decorated with a lot of posters of Gundam to increase the atmosphere. Furthermore, most of the food are usually given a Gundam theme. 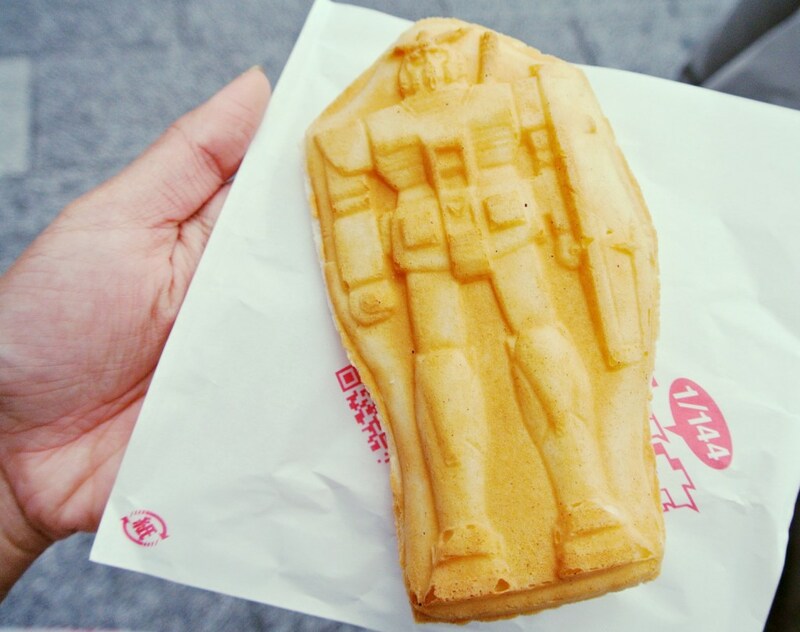 For instance, Taiyaki now have a Gundam picture instead of their tradition fish-shape. 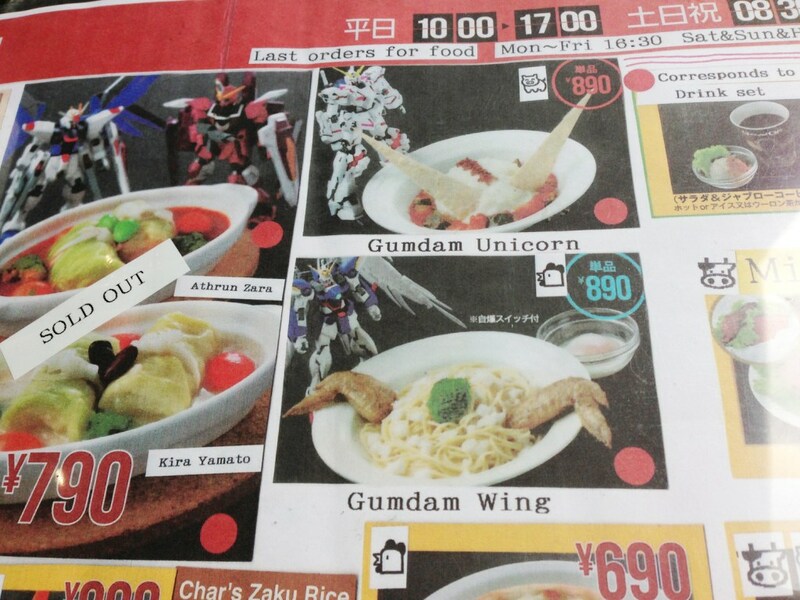 Furthermore, food are now arranged to give a more Gundam-esque image than the usual presentation in normal local restaurants. 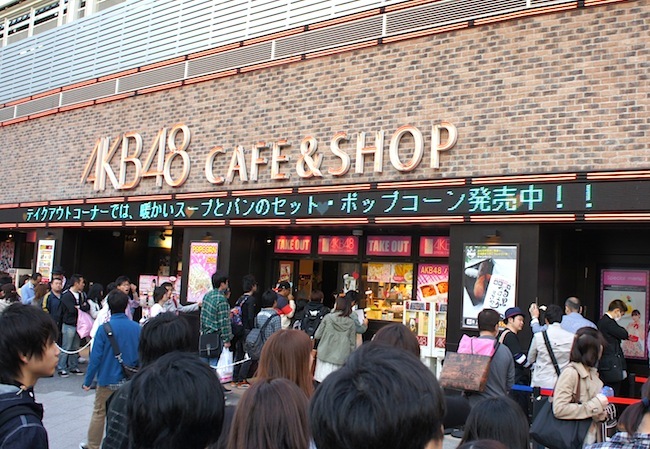 AKB48 Cafe is another popular cafe for those who like Akihabara as AKB48 is really popular in Japan. I will not mention much about AKB48 cafe as I really don't know much about them, but only that you can buy tickets for their lives in the cafe, though they seem to be really limited in stock! In part II, I would be commenting on Figure shops as well as how to travel within Tokyo to Akihabara, and some cheap hotels you can stay at. All information and photographs in this blog are credited to their respective owners. No Comment to " Travel Guide: Tokyo Part I - Electric Town and Types of Cafes "